Showing results by author "Joseph R. Owen"
Joe Owen tells it like it was in this evocative story of a marine rifle company in the uncertain, early days of the Korean War. 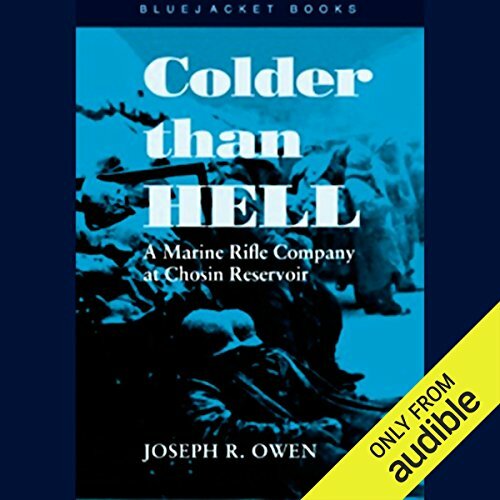 His powerful description of close combat in the snow-covered mountains of the Chosin Reservoir and of the survival spirit of his Marines provide a gritty real-life view of frontline warfare.As a lieutenant who was with them from first muster in California, Owen was in a unique position to see the hastily assembled mix of some 200 regulars and raw reservists harden into a superb Marine rifle company. The action and narrative move fast as the company learns to fight under enemy fire, eat frozen rations, and keep pushing forward when its wounded and dead go down.